Earth Day & Who’s Responsible for this Mess? If there was no demand for the oil and gas produced by these deep-water drilling rigs, they, of course, would not be operated. For the 30th consecutive year, Peaceworks is hard at work to put together Columbia’s annual Earth Day Festival. While many people love Earth Day, we also usually hear at least a little bit of grumbling from those who question the relevance of attempting to live more sustainably. A refrain heard on more than one occasion is “We’re not going to save the world by taking shorter showers.” And, of course they’re correct. Eco-conscious folks simplifying their lives and reducing their impacts are not nearly sufficient. That said, such actions are necessary. They raise awareness and enhance the credibility of the messenger. More on this below. This meme is worse than inaccurate, it's just plain wrong and should be called out as such. While surely well-intentioned, what the meme-maker misses is the fact that those emissions are coming from burning the fuels those corporations are extracting. But the burning is going on in the homes, schools, businesses of consumers, in the power plants burning coal and gas to make electricity and in the various places where the goods we consume are produced. That’s right, each of us who heats our home in the winter and cools it in the summer, runs appliances, drives cars and flies in planes, consumes food produced by mechanized agriculture and shipped to market, and buys various goods and services that are produced using fossil fuel energy is creating the demand for the fossil fuels these companies extract. So, how can we get these companies to stop producing fossil fuels and, instead, to provide clean, sustainable wind, solar and other renewables? Well, to get these highly profitable companies to stop what they’re making money hand over fist doing is no small feat. It takes political clout and that clout comes through educating, agitating and organizing on a scale akin to—or even greater than—that of the Labor Movement of the 1930s, the Civil Rights Movement of the 50s and 60s or the Peace Movement of the late 60s. We, of course, have been working for years to develop such a movement and the glass is partly full. We still have quite a ways to go and the time to make the transition is short, so action now is essential. We will gain clout through a variety of actions from demonstrations and direct actions to boycotts, divestment campaigns, lobbying, engaging in legal interventions, supporting or opposing candidates and, of course, continuously educating. And we’d make progress much faster if more of those now cheering us on would jump into the fray and make their voices heard. • First we lead by example. If we want people to listen to us, change their ways and start being responsible, we are far more credible if we are walking our talk. • Second, by being a visible role model we encourage others to take steps in a positive direction. If people see that we are enjoying the process of establishing creative, satisfying, sustainable lifestyles they are much more likely to begin the process themselves. • Third, by demonstrating the feasibility and desirability of a low carbon lifestyle we encourage those who set public policy to recognize that these sorts of changes are good, are well received and will win them support. • Finally, our collective impact is the sum of all our individual impacts. If we just reduce our personal greenhouse gas footprint we don’t solve the problem, but we do diminish, even if ever so slightly, the harm we collectively are inflicting on the planet. So, Earth Day is really about both. It’s learning about opportunities to engage locally in essential activism and, at the same time learning to live in a more eco-conscious fashion. The two are not mutually exclusive, as some seem to think. Rather, they are complementary. So, come to Earth Day to learn, to renew your commitment, and also to celebrate the Earth. Hug a tree. Hug a fellow human. Embrace our collective creativity and capacity for change. Together we must rise to the occasion. And together we shall. Happy Earth Day y’all! While we might not be "the enemy," we are, collectively, responsible for the harm being done to the planet and it is within our capacity to help heal the Earth. This can be done partially through individual action and also through political engagement to change public priorities and policies. Trump’s Budget: What’s Wrong Here? In March the Trump administration submitted their proposed Fiscal Year 2020 budget. It lays out their priorities. Peaceworks views their proposal as severely misdirected on multiple fronts. We invite you to consider their FY20 proposal and our responses and make your own decisions. We also encourage you to make your concerns and preferences known to your U.S. rep and senators. The Trump budget cuts Social Security by $25 billion over the next decade. We Say: While this is a relatively minor cut, we need to strengthen, not cut, this critical social insurance program that virtually all retirees depend on. While the system is well funded over the next decade, for long-term sustainability, we should be lifting the cap that allows those with really large incomes to avoid paying their fair share. Trump campaigned on not cutting this essential program, but is now seeking to cut $845 billion over the next decade. We Say: This is a major cut and is unacceptable. We should, instead be pursuing Medicare for All, saving billions by removing the for-profit insurance companies, reining in the exorbitant prices that Big Pharma charges us, and gaining efficiency by establishing a single-payer system along the lines of the Canada’s. Trump also promised no cuts here, but is now proposing cuts of nearly $1.5 trillion over 10 years. This includes removing all who were added via the ACA Medicaid expansion. We Say: Medicaid is an essential safety net program and should not be cut. It helps those who have no other way to pay for their healthcare. In addition to serving low-income people of all ages, Medicaid covers nursing home care for those who have no funds left to pay for it. Trump is proposing slashing the budgets of those agencies that work to address the climate crisis and other threats of our environment. The administration budget calls for a 31 percent cut in the $8.8 billion EPA budget. 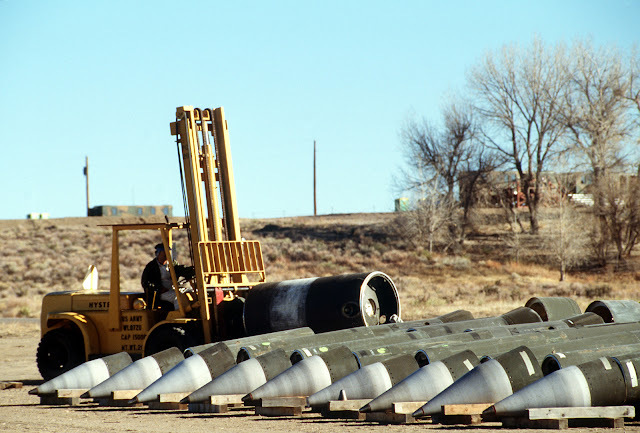 Likewise, it calls for a 25.4 percent cut in the $20.4 billion non-weapons portion of the Dept. of Energy budget. The Trump administration, however, is AWOL; in denial. They are not only failing to address this critical concern, but are pursuing policies that, while they might increase short-run profits for the fossil fuel industry, seriously exacerbate the crisis. To respond to these threats we need to equivalent of an Apollo Project. That’s exactly what a Green New Deal would be, the investment of hundreds of billions in both public and private funds each year to facilitate the transition to a socially just, sustainable, clean energy-fueled economy. After dramatically increasing the military budget their first two years in office, the administration is back, asking for an additional $34 billion for FY20, an increase of 4.7 percent. This is double the increase the Pentagon had requested. The proposed budget includes a major increase in funds for Overseas Contingency Operations and $104 billion for military research and development. The latter includes hypersonic weapons, artificial intelligence systems (including cyber-warfare and automated battlefield weapons), and “space-based technologies.” They also call for funding a new, sixth branch of the military, a U.S. Space Force. 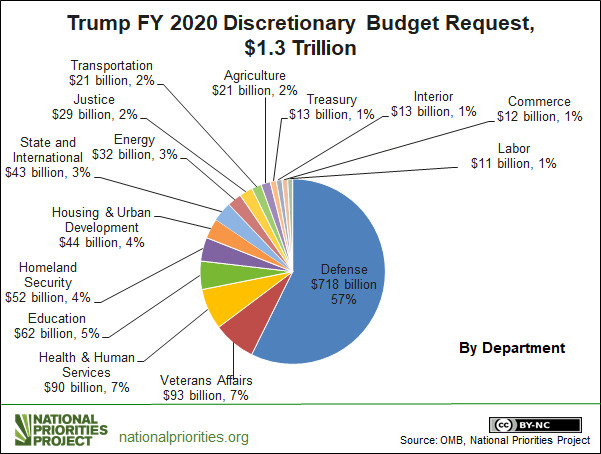 Trump is allocating $750 billion, 57 percent of the $1.3 trillion discretionary budget into the military and nuclear weapons. This does not include nearly $200 billion funding for Veterans Affairs, Homeland Security, intelligence black budget, the State Dept. and international affairs, all of which are part of the national security state. Nor does it include servicing the debt, much of which was incurred through the bloated military spending of past years. When all this is put together, the cost of present, past and future wars incurred this year alone would be well more than a trillion dollars. We Say: The military budget should be pruned, not expanded. If Trump’s budget was passed, the U.S. would be spending as much on our military as the 2018 military spending of the next 14 countries combined—China, Saudi Arabia, Russia, India, Britain, France, Japan, Germany, South Korea, Brazil, Australia, Italy, Israel and Iraq. Note that most of these countries are U.S. allies. Peaceworks opposes a new nuclear arms race. We oppose the weaponization of space. 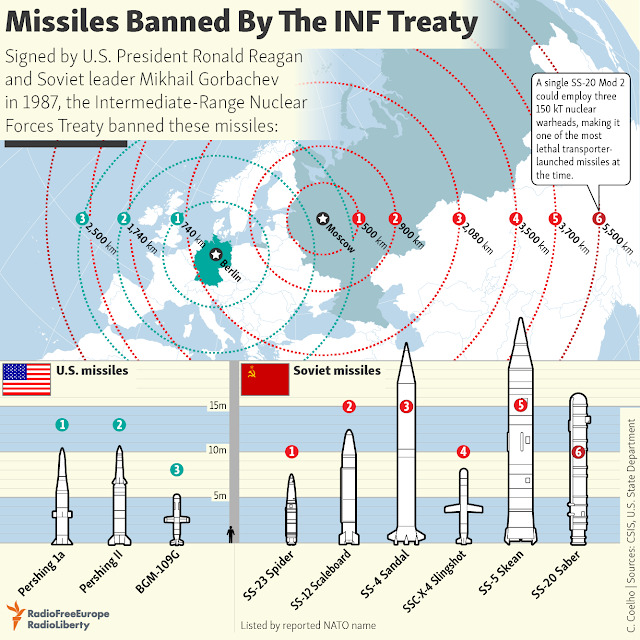 And we support efforts to move toward mutual, verifiable, incremental and universal disarmament. As the nation with the world’s largest military and the track record of being most militarily aggressive, it behooves us to take the lead in moving forward an international system based upon mutual security and the conversion of militaries into defensive, rather than offensive forces during the transition to a world at peace. The administration is proposing cutting almost every other department, in many cases, making very dramatic cuts. These include a 22 percent cut in spending on transportation, a 16 percent cut in affordable housing, a 23 percent cut to the State Department, a 12 percent cut to the Dept. of Education, a 10 percent cut in the Labor Dept. and the list goes on. It also includes a ten-year cut of $220 billion to Food Stamps (SNAP). We say: Spending on people is more an investment than an expense. A population that has the opportunity to obtain quality education, access to what’s needed to foster good health and to be productive members of our society increases our productivity and makes for a higher quality of life for all of us. Programs such as these benefit society at large, and each of us, directly or indirectly. One other area the Trump administration is aiming to increase funding is border security. They are proposing to spend $8.6 billion in FY20 just on construction of the Trump border wall. This is in addition to funds being spent on agents, technology, incarceration and transportation of migrants and refugees, etc. We say: We would rather see a Marshall Program for Central America that would address the grinding poverty and violence that is leading to tens of thousands of people to flee each month. A wall will not effectively stop the flow of people headed north. Changing conditions in their countries of origin will. Donald Trump claims to be putting America First, but, in fact, he’s putting corporate America and the uber-wealthy first and then aiming to divide and dominate the working people of this country. Peaceworks prioritizes peace, justice and sustainability. We see a positive role for our government to play in leveling the playing field and ensuring abundant opportunity for all, as well as a robust safety net that won’t allow millions of us to fall through and end up in desperate situations. We also recognize that to effectively address the climate crisis we need our federal government to make this a top national security priority. 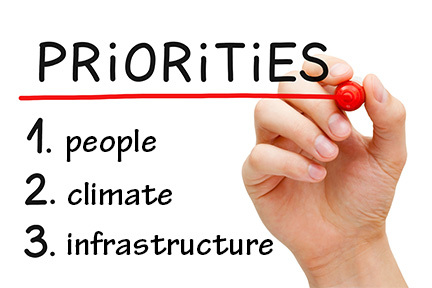 If you agree with our priorities, we strongly urge you to make your voice heard. We also invite your active participation in our work. Please contact us if you’d like to learn more regarding getting involved. We can be reached via mail@midmopeaceworks.org or 573-875-0539. 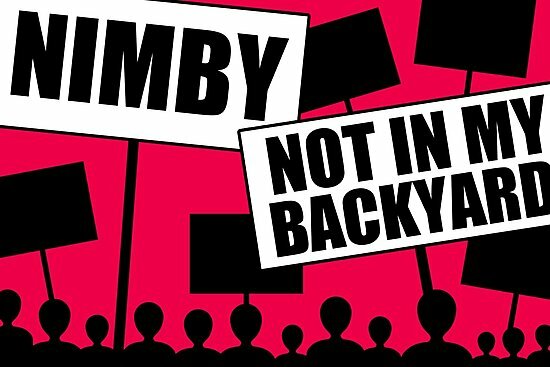 NIMBY is often seen as a bad or selfish attitude, which is in many cases true. On the other hand, at least in certain situations, it is highly appropriate. There are many examples of knee-jerk opposition to projects that benefit society at large simply due to people not wanting to see them near their residences, or even in their communities. One such situation that we’ve faced here in Missouri is the proposed Grain Belt Express Clean Line, a power line sorely needed to move abundant clean, renewable wind power from the plains of Kansas to Missouri and points east. Some landowners are opposing this power line due to it being routed across their property, despite the overwhelming societal value of replacing dirty coal-generated power with clean wind energy. Another example that we see in communities across the country is opposition to the construction of low-income or subsidized housing in areas where most residents are middle to upper class. People who otherwise are concerned about homelessness will suddenly show up at planning and zoning or city council meetings to oppose such projects. On the other hand, sometimes there’s a project that really never should be constructed, as it does more harm than good. But it often takes it being proposed for a specific location to begin to generate needed opposition. Good examples of this are the Keystone XL Pipeline and the Dakota Access Pipeline (DAPL). We should not be building pipelines to transport tar sands or fracked shale oil. To address climate change, we need to leave these super-carbon intensive fuels in the ground. Investing billions in new pipelines would put in place the infrastructure to extract these dirty fuels for decades to come. Resistance to these projects has been spearheaded, in large part, but people whose land or water is threatened. A Wind Farm for Boone County? In recent months we’ve learned that a company called E.ON Climate and Renewables, has proposed building a wind farm in northwestern Boone County, in the neighborhood of Harrisburg. A decision to proceed with the project depends first on the company’s testing of wind speed over a two year period to see if there is, indeed, enough wind here, enough of the time, to make the project viable. It also would depend upon what sorts of regulations the county government would enact to operate a wind farm here. And this would be influenced by the responses of local citizens. In that regard, on Saturday, March 9, there was a public meeting of nearly 100 area residents held at Harrisburg High School. Peaceworks was present and shared some thoughts with attendees via a leaflet we produced. You can read this if you CLICK HERE. 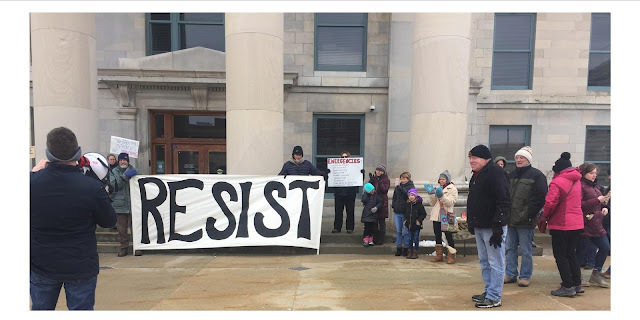 “As a grassroots organization that cares deeply about people and the quality of our lives, Peaceworks is very sensitive to concerns regarding the impact of siting wind turbines close to people’s homes. As an organization committed to a livable future, however, we are also sensitive to the urgent need to replace dirty, polluting and climate-altering power plants with clean, renewable energy sources. We encourage you to read the full leaflet (CLICK HERE) to see some commonly raised objections to wind power and responses to them. We start with the recognition that we are facing an unprecedented crisis. We must make dramatic reductions in greenhouse gas emissions not someday, but now. We urgently need to get more energy efficient and replace coal and gas with clean, very low carbon solar and wind. Does this mean we support industrial scale wind power in Boone County? Not necessarily. While we need to install as much wind as we can, as soon as we can, we need to look carefully at the issue of setbacks. How far, at a minimum, from a residence should a wind turbine be sited? This is a question that should be thoroughly explored. While the industry standard of 1,000 feet is likely reasonable, we feel there should be a thoroughgoing exploration of this issue. Once it is decided what’s a reasonable distance, then it would need to be determined if there are sufficient suitable locations that would meet these criteria to make the project viable. Given the fact that Boone County has a fairly large population with quite a few residences in and around our rural communities like Harrisburg, it’s possible that this is not a good place to site a wind farm and that perhaps locations in less densely populated neighboring counties would be more suitable. The process of determining whether or not there’s sufficient wind to justify the project began in December 2018 and is slated to take two years. During that time our county government should do serious research into this setback issue. We need science-based regulations that will allow for wind development that does not adversely affect residents. At the same time these regulations cannot cater to the aesthetic preferences of those who simply don’t like the looks of wind turbines. It seems that those who reject wind based simply on not wanting to have it in their neck of the woods need to wake up to the reality that this technology is needed, and needed now, to replace dirty, climate altering power plants. We can generate lots of clean wind power out on the high plains and wheel the power through the grid. But, as we’ve seen, siting power lines is not easy, and there are advantages to spreading out generation, as when it’s not windy in one place, it is likely to be in another. The bottom line for us is that wind is clean, safe, abundant, affordable and urgently needed. While we should not site wind generators in close proximity to people’s homes, we also can’t afford to let a NIMBY mindset keep us from moving forward installing clean energy and displacing dirty fossil fuels. We need a balanced approach that both recognizes the need for wind power and also respects the legitimate needs of residents. If you haven’t already, please check out our handout responding to the arguments made against wind: CLICK HERE. Harrisburg area residents attending a public informational session at Harrisburg High School, March 9, 2019. Some of the participants in a rally held Sunday, Feb. 17 opposing the "national emergency" declaration. Peaceworks joined our allies in CoMo for Progress in co-sponsoring this gathering outside the Boone County Courthouse. 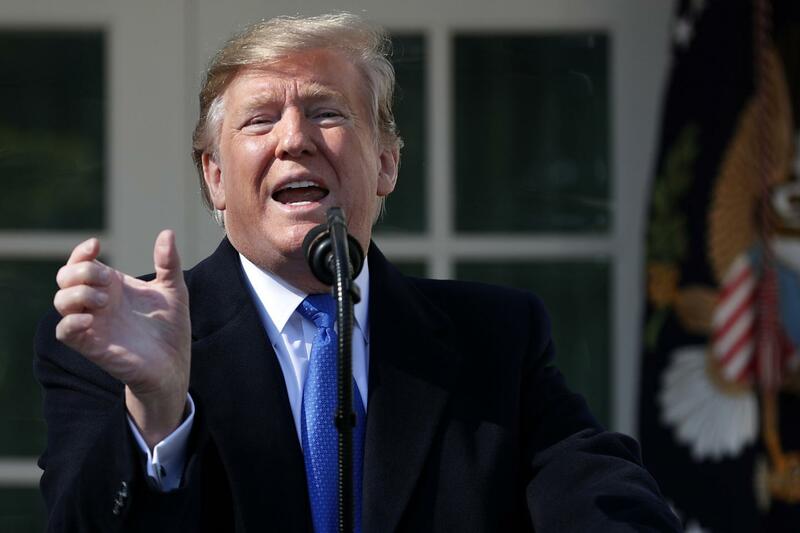 As virtually everyone reading this now knows, on Friday, February 15, unable to get Congress to appropriate the funds he claimed were needed for a border wall/barrier, President Donald Trump declared a “national emergency.” He claimed this would allow him to override the will of Congress and transfer funds from other governmental programs to fast track wall construction. Trump’s fear-mongering is not limited to the specter of darker-skinned people—most of whom are branded as criminals—sneaking into the U.S. Another fear button he pushes regularly is the threat of illegal drugs “flooding” our country. But critics have pointed out that the vast majority of contraband is being snuck in through ports of entry and not hauled across rivers or overland through deserts, over mountains, etc. Donald Trump might believe that there is an urgent threat posed by the lack of a wall from the Pacific to the Gulf of Mexico, but somehow the people he’s appointed to head up our national intelligence services are not on this page. In fact when Dan Coats, Director of the Office of National Intelligence, along with CIA Director Gina Haspel, and FBI Director Christopher A. Wray, provided their annual assessment of global threats to Congress, on January 29, the supposed threat from across the southern border did not make their list. They focused instead on cyber threats, Russia, China, North Korea, ISIS, etc. Trump’s actions themselves constitute a serious threat that must be addressed. To begin with, the Big Lie approach to political rhetoric undermines our ability to engage in rational dialogue on the issues we face. We have now lived with Trump’s oft-repeated lies for nearly four years (counting from the start of his campaign in 2015), and this has compounded already existing fear and loathing. Anyone who listened to Trump’s rambling talk when he declared the “national emergency,” should be able to recognize just how far off-base his claims are. While they should be able to, a sizeable minority are not. In fact millions have “drunk the Kool-Aid” and this will make it more difficult, now, and in the future, to create a society that respects and even celebrates diversity. To be clear, American racism, sexism, homophobia, Islamophobia and other bigoted attitudes did not start with Donald Trump. But he has not just exploited the existing fear and hate, he has exacerbated it, and we really need to work to turn this around. The other threat that this bogus “emergency” triggers is constitutional. Under our system of shared power, the legislative branch—that is Congress—decides how much money to appropriate for each governmental purpose. This is called “The Power of the Purse,” something most of us learned in high school civics classes, something Donald Trump seems to have missed taking. The executive branch—the President and the Federal agencies—are then in charge of spending the funds provided. The National Emergencies Act of 1976 was established to allow some flexibility in times of crisis, but to also put limits on a president’s ability to simply declare an open-ended emergency. While the act has been utilized dozens of times over the past four decades, never has it been used to override Congress and provide funding for something Congress has explicitly decided not to approve. Never, that is, until now. This sets a horrible precedent and should not be allowed. If any time a president—this one, or any of his successors—decides he or she would like to override Congress he or she can do so just by declaring an emergency, it will greatly diminish the role of our elected representatives. While there are numerous flaws in our electoral system Congress is, at least in theory, both closer to and more responsive to their constituents than the president. Speaking of Congress, it would be a good idea to weigh in and let them know what you are thinking on this set of concerns. It seems that even those who support the wall might at least respond to Trump’s power-grab, as it would diminish their power, both under Trump and, if the precedent is set, under future presidents as well. Contact info for Missouri reps. and senators is available if you CLICK HERE. Note that it is possible for Congress to reject Trump’s emergency claim, but it needs to be done by a two-thirds majority that can override a presidential veto, so winning over a significant number of GOP members would be necessary. Please help as you can, and please share your concerns widely. President Trump announces his national emergency declaration from the White House Rose Garden, Feb. 15, 2019.